There is nothing better than a flaky pastry on a Sunday morning: waking up late, putting on the radio, brewing coffee and the aroma of croissants crisping up in the oven. That is my ideal routine… unless I forget to turn off the alarm clock! Croissants are such a treat as they feel exotic. They are not your weekday breakfast choice, as you can’t just pop them in the toaster or heat them in the micro. Not only that, but they are versatile: you can have them savoury or sweet. One of my favourites is to make a batch of plain croissants, slice them open when they are still hot and stuff them with sharp cheddar and smoked ham. So Frenchy and chic! Now, as we are talking Sunday morning material, we are talking easyyyy. In light of this, my recipe will take you 5-10 minutes to prepare and 15 minutes to bake. What’s the catch? We are going shop-bought in the pastry department… sometimes you just have to cheat! Anyway, Delia does it. The other great aspect to these croissants? They are much lower fructose than an average pain au chocolate. To ensure this, you must find dark chocolate with the highest % of cocoa possible. I use Lindt 92% dark chocolate (available at quite a few supermarkets in the UK). As a guide, try not to go any lower than 80%, otherwise the sugar content is too high. 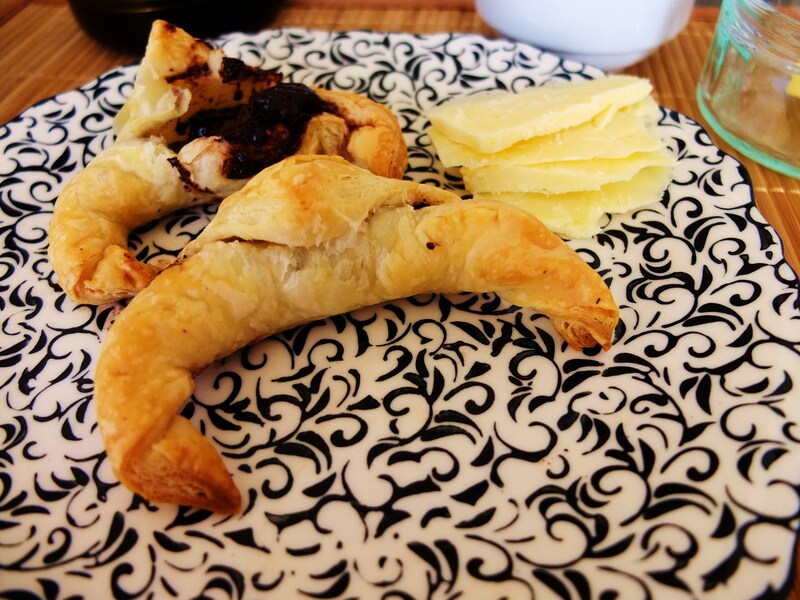 Finally, pastry is your BFF when living a low fructose lifestlye, so eat away! You will have a straight croissant, now seal it slightly with your fingertips and curl it into a crescent. Dad and I will deffinately be baking these for Sunday brunch!! !